Today’s customers expect great service, excellent selection, and competitive pricing. And they not only do not care whether that’s online or at a physical location — but they also expect to be able to “mix it up” a bit. Customers have come to expect that if they order an item online, they can return it in the store, for example. Seems simple. But it’s not easy. In the 1st part, we talked about the first factor of an effective omnichannel strategy - customers. In this 2nd part, we will discuss about the 2 remaining factors: technology and staff. 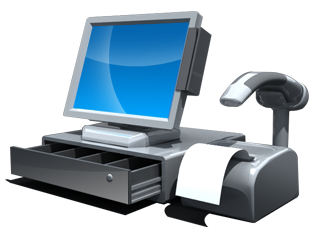 Consider the point of sale system. It’s surely come a long way from its 1878 debut as the Incorruptible Cashier. Today, the POS handles many parts of the sales transaction, not just the payment. A POS can track inventory and sales trends as well as place orders to suppliers automatically. VIP customers can be identified at checkout and special offers can be applied. To achieve those functions, all systems must be deeply connected so retailers can form an understanding of how shoppers react to products, what encourages them to purchase, and what turns them off completely. All the systems must be in sync in order for reliable, accurate data analysis to occur in a timely manner. That ability is a competitive must, and it must be simple to use and simple for results to be collated and interpreted. By connecting the supply chain to all parts of the retail business, products can be ordered, allocated and merchandized properly. During the discovery phase of the simplification process, retailers need to inventory their current systems, and then identify the type of system they want to have. That will inform the decision regarding the types of network, software and hardware that will form the backbone of the system. 3. Is My Staff Ready? Engaged employees are key to omnichannel success. Workers benefit from using new technology, because it gives them more information to do their job well and boosts their efficiency. For instance, now, armed with information about what Ms. Jones bought online last week, the sales associate can approach her with potential complementary items. That opening line is crucial to starting a dialogue with shoppers, and is a topic of many sales training meetings. That may sound old-fashioned in a modern era of anonymous digital commerce. But study after study finds that customers want to feel welcome, have their questions answered, be respected, and be shown they matter. Step one is to have the right employees. A $10-an-hour salesperson can cost $3,000 to replace according to industry statistics, as Retail Touchpoints recently reported. But there are stellar examples of how to hire retail salespeople effectively. Consider how Apple hires retail employees for its stores. According to an article in Forbes, Apple isn’t after exceptional intelligence or technical skills, but instead wants employees who are good “people persons.” They excel at being appealing, friendly, and enthusiastic. They are genuinely happy doing their jobs. Apple, it’s been said, hires for smiles. Step two is training (which will be much easier if step one was done properly). A store that now offers live inventory look up and BOPIS must have associates who know how to handle the customer who now wants to return that item before even driving home with it. A smile, a great overall attitude, and knowledge of alternatives for the returned items, combined with knowledge of how to process the return will not only result in a happy customer, but also in a proud employee who shares the retailer’s vision of success.